Our Nursery is registered by Ofsted (Ofsted Registration Number EY 251317). Our normal opening hours are from 7:30 to 18:00 Monday to Friday, fifty-two weeks of the year (except Bank Holidays). Opening hours can be extended by arrangement. We are an independent, family run nursery. 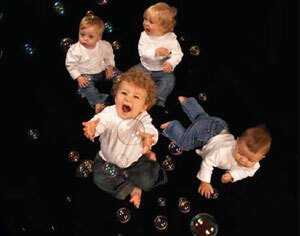 We are not part of any chain of nurseries or larger company. The Nursery is located near the centre of Hipperholme on Denholme Gate Road, Hipperholme, Halifax. The building was specifically designed and built for its purpose. The Nursery has a large private, exiting and totally secure, out-door play area located to the rear of the property. Also to the rear of the building is a large secure covered balcony area which provides a large additional space for children to play all year round. All the rooms on the ground floor (Baby and Toddler Unit and the Over Twos Unit) open directly on to this area. It is the philosophy of the Nursery that children should spend a proportion of each day playing outside in the fresh air. The Nursery possess its own large private car park, monitored by the webcam system, thus ensuring that parents are able to pick up and drop off their children in safety, without recourse to parking on the road. Full day care (children 0 to 5 years). Pre-school Care and Education (children 3 to 5 years). Term-time only full day care (children 3 to 5 years). Before and after school care (Children 4 to 8 years). School holiday care (children 3 to 8 years). Out of School Clubs (including both before and after school clubs and school holiday clubs). Each service has its own dedicated senior member of staff with the exception of the Baby and Toddler Unit which operates as one unit but is split into two discrete areas (babies and toddlers), with each area having its own dedicated senior member of staff. The Nursery follows the Government’s Early Years Foundation Stage curriculum and it is heavily influenced by Scandinavian philosophies which emphasises learning through play in a relaxed and stimulating environment and where children learn respect for themselves, others and their environment. Outdoor play and activities are organised and encouraged all year round. The Nursery is covered by a system of sixteen webcams. These provide additional security for staff and children. They cover both internal and external areas. The system is also accessible by parents who may view the cameras remotely from their homes or their workplace during the times that their child is present within the Nursery. Parents are only allowed access to the webcams in the Units their children are normally allocated to and the external play areas. There is no additional charge for this service.